For this trip, we are Tabu Osusa, Steve Kivutia, Patrick Ondiek and Nick Abonyo. We met at the airport for a 12:45 departure and arrived in Entebbe an hour later. That was the easy part of the trip. We then had to clear all our equipment through Ugandan customs. Everyone was polite and helpful. But it took almost 1.5 hours. By that time we were caught up in a UN group that passed very slowly through customs. We made it to the hotel at around 1630. It was great to see our old friends at the hotel. We had a quick dinner and a few free drinks (we had charmed some flight attendants on the plane to contribute to Singing Wells with a few whiskeys). Most of us then went to bed for the night, deciding to have one final evening free of our London friends. Patrick, however, woke up in time to be a ‘greeting party’ to the London arrivals. Representing the AMF are Jimmy Allen (Founder), sound engineer Andy Patterson and Vicki Denison, charity administrator and fundraiser. Our BA flight from London arrived on time at Entebbe at 22.30. We didn’t have the same delays at customs as the Ketebul team and we were at the airport guesthouse with a Nile Special (and their daily supply of one Pringles can) in hand before midnight. It felt good to be back on Ugandan soil in the familiar environment of the Airport Guesthouse. 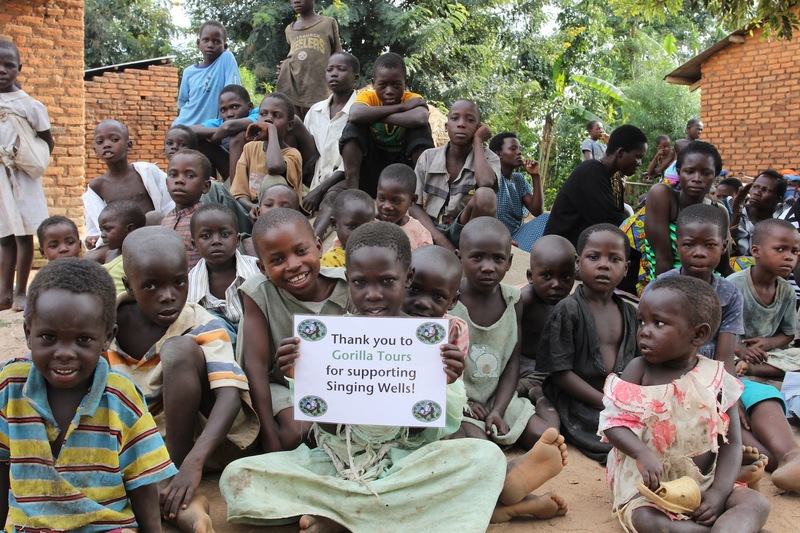 An early start the next day meant not staying up long on arrival – little did we know that a thunderstorm of biblical proportions was on its way…..
We are very grateful to have two sponsors for this recording trip. 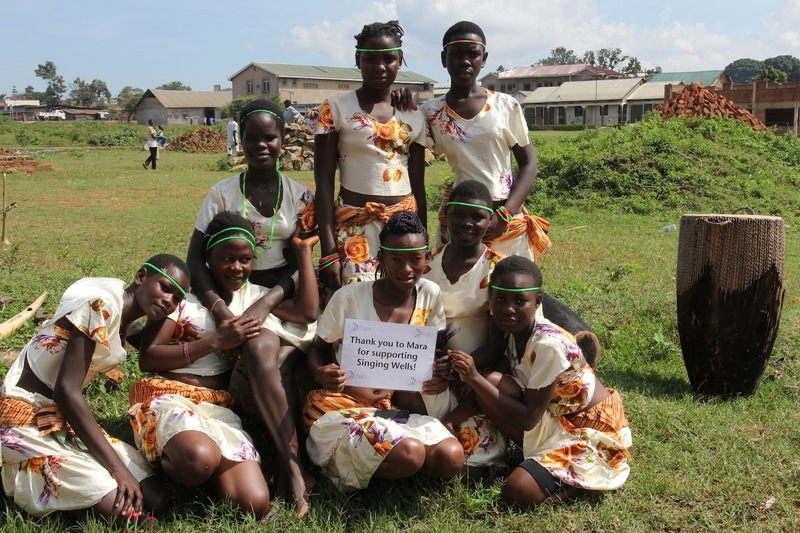 Firstly, The Mara Group are sponsoring a full recording day and have chosen to support our day in Mbale (Day 4: Thursday 21st Nov). We are also very pleased to have the support of Gorilla Tours, owners of the Airport Guesthouse who have provided one of the transport vehicles and a driver for the week, as well as offering us accommodation at the Guesthouse while we are in Entebbe. ← Who’s looking at you?